Or 6 payments of $10.83 What's this? 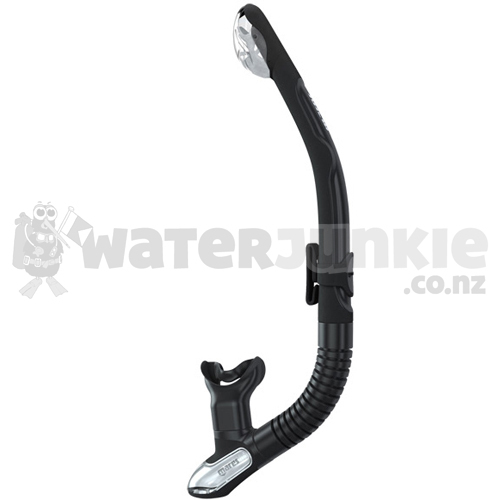 The ERGO snorkel family was designed for maximum performance both for scuba divers and snorkeler's alike. From one end to the other, the ergonomic shape fits perfectly to the side of the head, a new contoured design for effortless breathing and efficient movement for greater comfort. The Hydrodynamic shape reduces drag both under and on the surface of the water. Snorkel comes with a corrugated flex lower tube made of high quality silicone which allows for any angle of use; the mouthpiece drops out of the way when not in use. During a dive will never be disturbed by the snorkel knocking against your regulator. It also features a snorkel keeper which can be adjusted in many positions. It also includes an exhaust valve in the mouthpiece for easy clearing. The mouthpiece is molded in soft rubber for greater shock and wear resistance, also to properly host the exhaust valve. 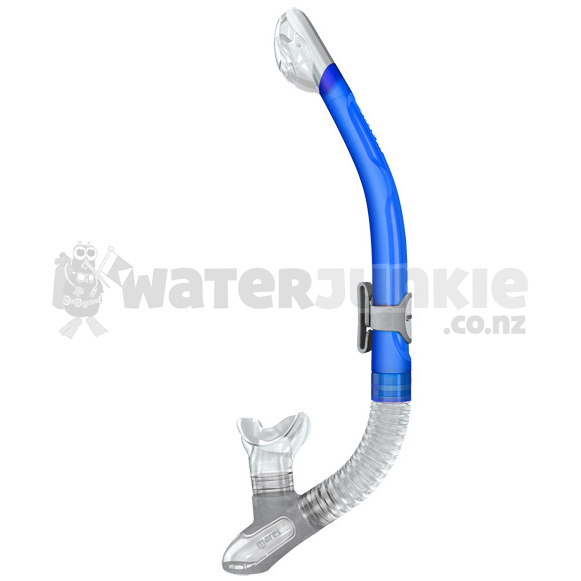 Exclusive engineering of the dry top (patented) and an ergonomically correct mouthpiece make this the ideal snorkel for scuba or for prolonged snorkeling sessions. The combination of the 100% dry top and an exhaust valve in the mouthpiece ensures a completely dry breathing environment. 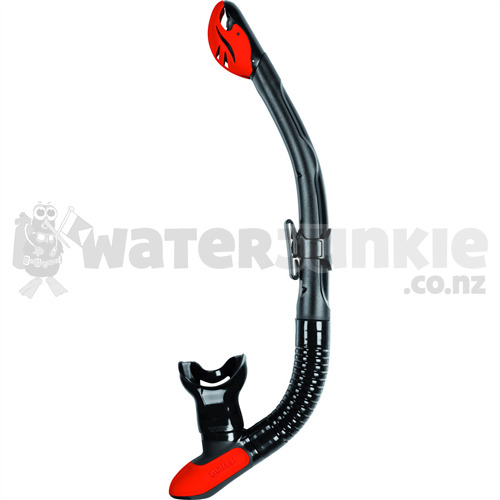 Snorkel comes in multiple colors and is covered by a 24 month limited warranty. 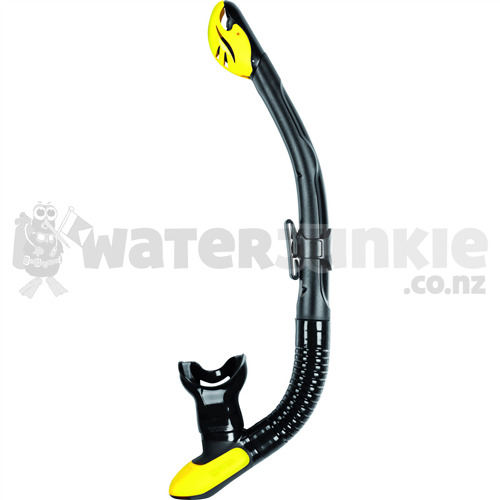 The Mares Ergo Dry Snorkel is commonly used for Pool, SCUBA Diving, Snorkeling, Spearfishing, Vacation and more. The Mares Ergo Dry Snorkel is most used by customers who consider themselves to be a Advanced, Beginner, Casual/ Recreational among others. The Mares Ergo Dry Snorkel is popular because customers like the following qualities of the Mares Ergo Dry Snorkel: Comfortable Mouthpiece, Ergonomic Design, Purge Valve, Resistant To Flooding.